Cashback Reward : Earn up to 494$! TransNGS™ Tn5 DNA Library Prep Kit for Illumina® is designed to prepare genomic DNA libraries compatible with the Illumina® sequencers. 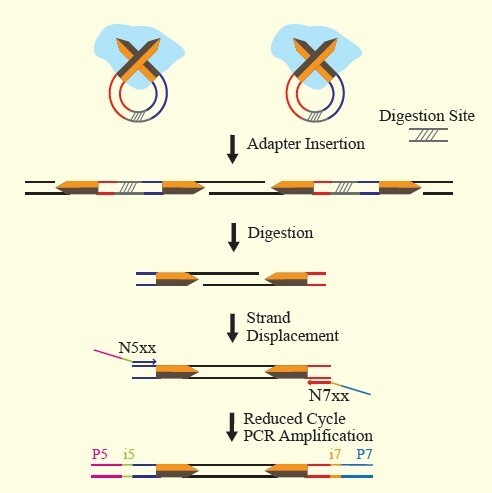 In vitro adapter insertion and DNA fragmentation are performed in a single tube. Sequencing-ready libraries can be prepared in 2 hours with only 50 ng of starting genomic DNA. 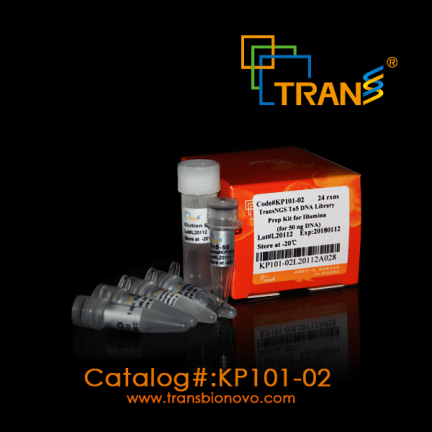 The TransNGS™ Tn5 Library Prep Kit for Illumina® is compatible with other TransNGS series products. We recommend using the Tn5 Indexing Kit. Rapid and efficient : Sequencing-ready libraries in 2 hours. Low input DNA requirement : Only 50 ng of starting genomic DNA is required for high-diversity and high-quality NGS librairies. 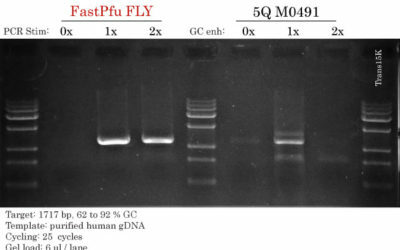 The quality and quantity of the input genomic DNA is critical for DNA Library Prep. DNA should be purified and then dissolved in ddH2O or 10 mM Tris-HCl (pH8.0) with the OD260/OD280 between 1.8~2.0. Fluorescent dye measurement (i.e Qubit or PicoGreen) is highly recommended to determine DNA concentration. 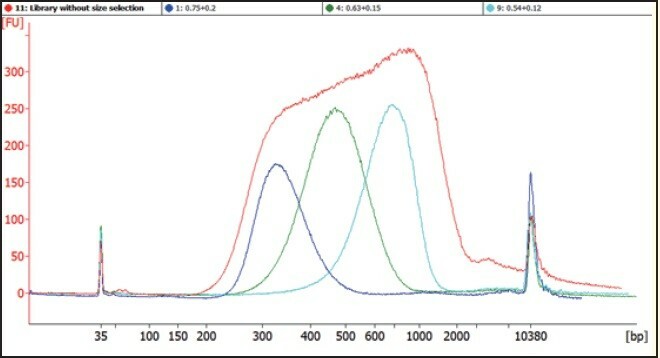 Avoid using spectrophotometry for DNA quantification (i.e UV absorbance or Nanodrop). 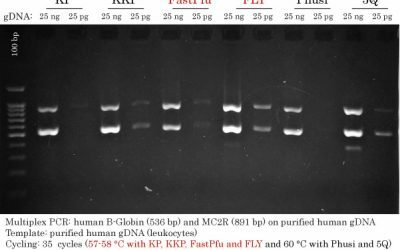 Library without size selection – Human genomic library prepared with this kit, then size selected under 0.75+0.2; 0.63+0.15; or 0.54+0.12. All systems have bias resulting from many factors. The TransNGS™ Tn5 DNA Library Prep Kit for Illumina® has a slight bias from Tn5 Transposase insertion. The preference recognition sequences are listed below.